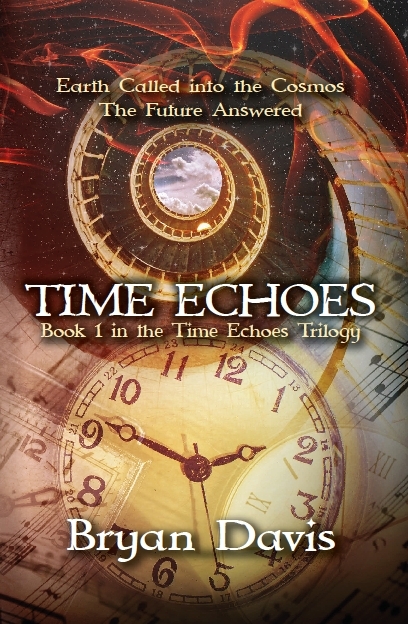 The Time Echoes Trilogy officially debuts this week. This series is a rewrite of Echoes from the Edge, which was published by Zondervan in 2008 through 2009. The story is now told in first-person point of view (POV) instead of third person. I did this to gain a more intimate view into Nathan’s mind. Since the entire series has always been from his POV, this was a natural way to write the story. I removed a considerable number of tangents that added nothing significant to the story, thereby streamlining the action and making the books more pleasurable to read. The final third of the last book contains the most changes to the story. The ending now makes more sense and completes the themes and devices in a more satisfying way. The new version of the story sets up The Reapers Trilogy as a sequel to this series. Readers of both series will begin seeing the inter-series relationships in book two of each trilogy. Some have asked why I rewrote and republished this series. The main reason is simple. The original trilogy went out of print with Zondervan because it didn’t sell as well as my other books. Since it went out of print, the publication rights reverted to me. This situation gave me the opportunity to publish the series myself and improve important aspects. First, I wanted to change the titles. The original publisher wouldn’t allow me to select them. Now I can. Second, I thought the original covers were bland and unappealing. I think the new covers are quite striking and intriguing. Third, since I had learned so much about writing since these books first came out, I wanted to apply the new knowledge, which required a thorough rewrite, a painstaking task that took almost a year. I hope readers, even those who read the original trilogy, enjoy this series. The story is packed with action and heart. If you do read it, let me know what you think. 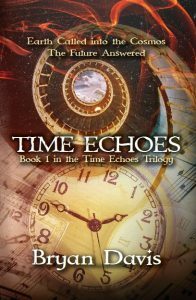 For a sample, here is chapter one of the first book, Time Echoes. Digital versions are available at Amazon (kindle), Barnes & Noble (nook), and Kobo (epub). Please comment with any questions you might have. Sixteen-year-old Nathan Shepherd has a great life traveling where the careers of his father, an investigator, and mother, a renowned violinist, take him … until his parents are found murdered. Left with only a mirror and notes from his father’s last case, Nathan goes into hiding at the remote country home of Tony, his father’s college buddy, and Tony’s teenage daughter, Kelly. The mysterious mirror must be a clue to what happened to his parents, and when images appear in it — people and things that don’t exist — Nathan and Kelly painstakingly gather evidence. But the killers want the mirror too, and danger threatens the teens at every turn. As it becomes evident that Nathan’s father had stumbled upon dark forces at work in the world, several questions arise. Could it be that the mirror is a portal to a parallel world? Could this technology be used for evil purposes? And could his parents still be alive, trapped in another world Nathan and Kelly struggle to solve the mystery while trying to avoid becoming victims themselves. This chilling, hair-raising adventure is jam-packed with action in a fantastical world where nothing is as it seems, and even mirrors tell lies. I will confess, Mr. Davis, that I’ve been a bit uncertain what to think about the Time Echoes rewrite- I love the original books, and I wasn’t sure how I felt about changes. That said, now that I actually know more about what changes you made (and that the rewritten series will line up with Reapers), I think I approve, and I am going to buy the new versions just as soon as I have enough spending money with which to do so. Question: will the books be available in paper-and-ink form on Amazon, or only from your own store? The printed version will be available at Amazon. I know the distributor has plenty on hand, so it’s only a matter of time before they show up on Amazon. I have a question. I remember in the original trilogy when the three earths were combining, Daryl had a friend who had seen what she thought to be a ghost. So, My question is, in the rewrite, will you have it turn out that all three earths combined and never separated, and this being the cause for the ghosts in the reapers trilogy? or could it be that the ‘Ghosts’ are shadows from one of the other dimensions? No, that is not the link between Time Echoes and Reapers. When will it be in stock on amazon? I don’t know. I supplied my distributor with plenty of copies. I have no control over when they show up at Amazon. Soon, I hope. I will be watching, and I will post and update when they show up.